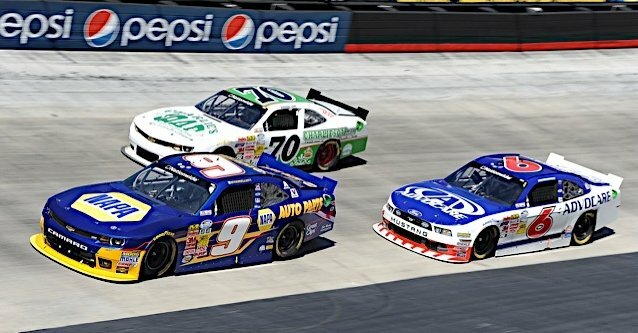 Elliott scores third top-10 finish at Thunder Valley, finishing ninth and moving up in NASCAR Nationwide Series standings. 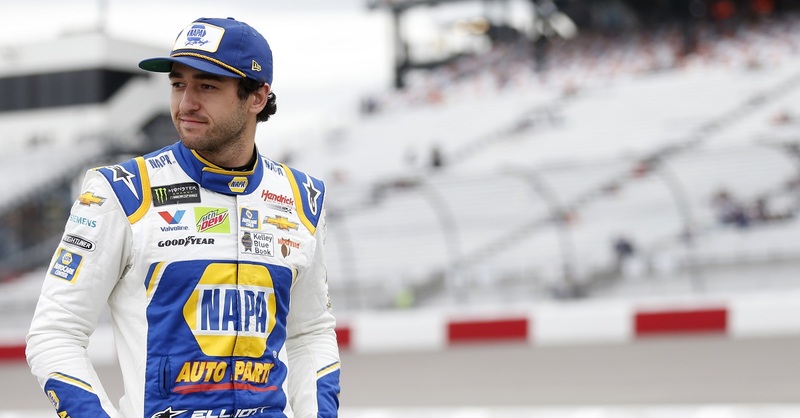 NASCAR Nationwide Series rookie Chase Elliott and the No. 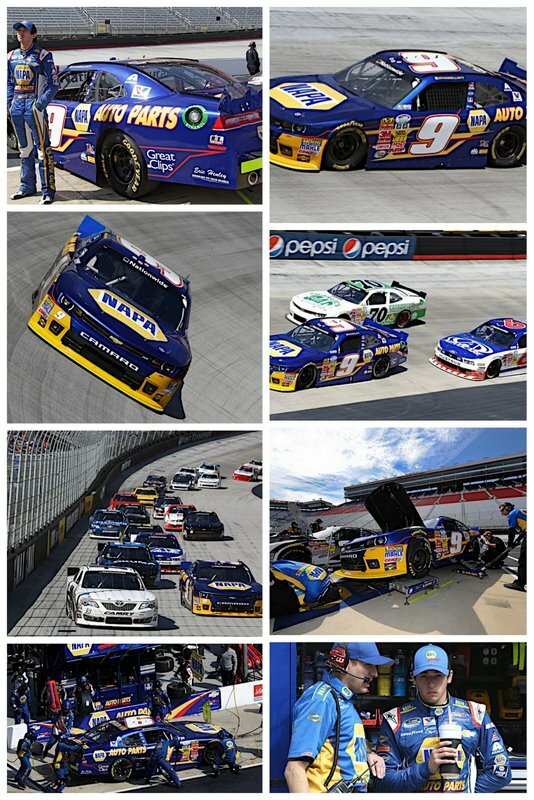 9 NAPA AUTO PARTS team finished ninth in Saturday’s Drive to Stop Diabetes 300 and did so at the treacherous Bristol Motor Speedway, a half-mile bullring in the north Tennessee mountains with the nickname “Thunder Valley.” It was Elliott’s third top-10 in four races, and it moved him up one spot to fourth in the championship standings. 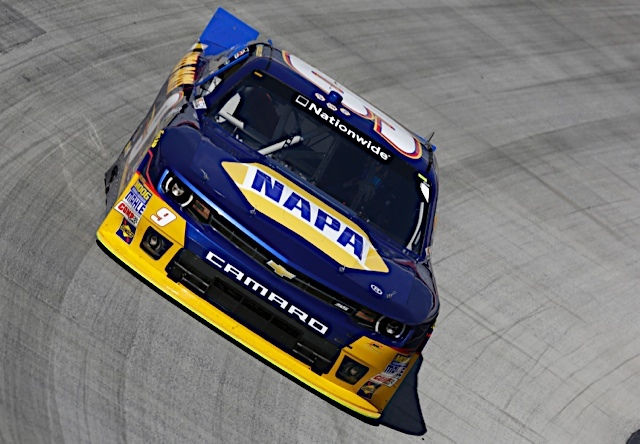 Elliott is now just 13 points behind leader Regan Smith and five points behind third-place Ty Dillon. Joe Gibbs Racing teammates Matt Kenseth and Kyle Busch combined to lead 299 of 300 laps, with Busch claiming his second win of the season. 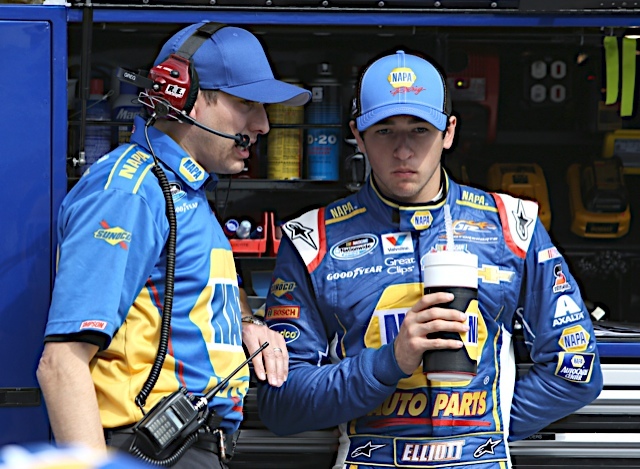 The two drivers lapped all but eight cars in the early stages, including 10th-place Elliott on lap 84. 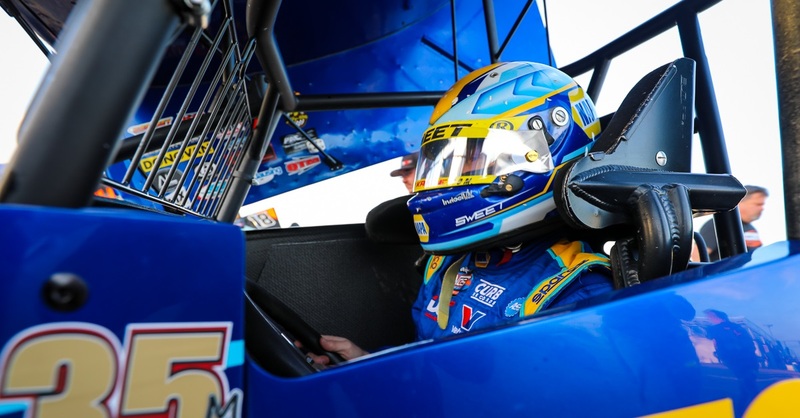 But the 18-year-old rookie regained lead-lap status with a ‘lucky dog’ on lap 135, and he benefitted from chassis adjustments on laps 95 and 136 to surge forward. He passed his teammate Smith for sixth on lap 165 and took over fifth not long thereafter. But it was the final restart with nine laps to go that was the key juncture of the race. 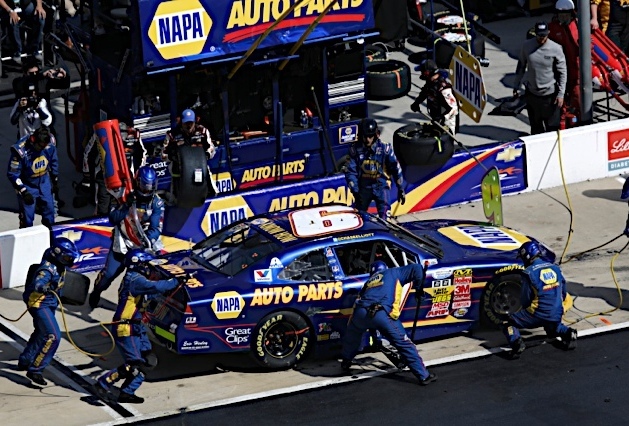 Elliott, in fifth, was the unfortunate recipient of an inside-row start spot, which was slower due to the lack of tire residue on the bottom groove. As a result the much faster outside line paraded by him in the short 4.5-mile sprint to the checkers while Elliott attempted to squeeze up. 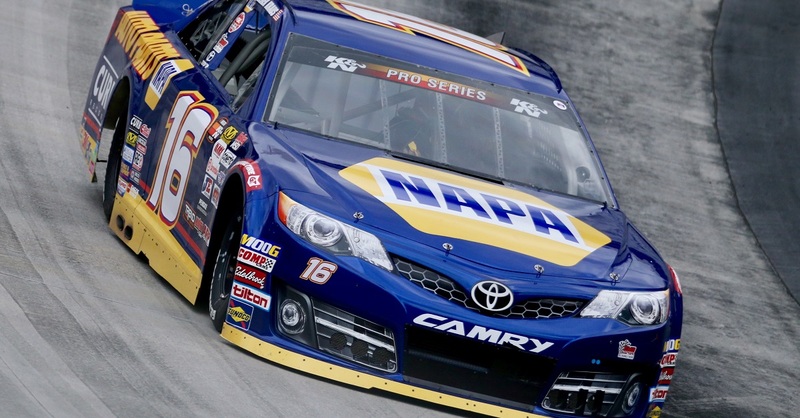 He would finish ninth, just in front of Smith, and take solace in his third consecutive top-10 for JR Motorsports. 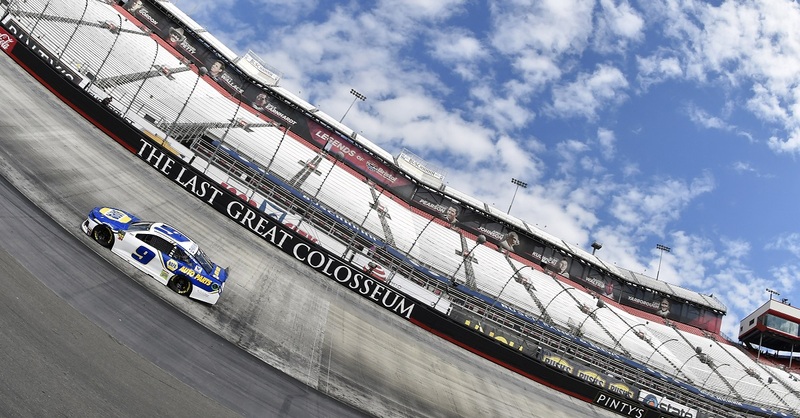 Busch beat Kyle Larson by six car lengths in a drama-free finish. 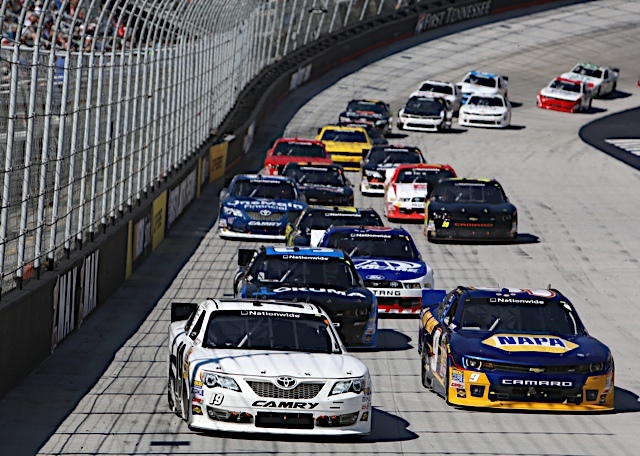 JR Motorsports’ Kevin Harvick finished third while Ryan Blaney and Kenseth rounded out the top five.